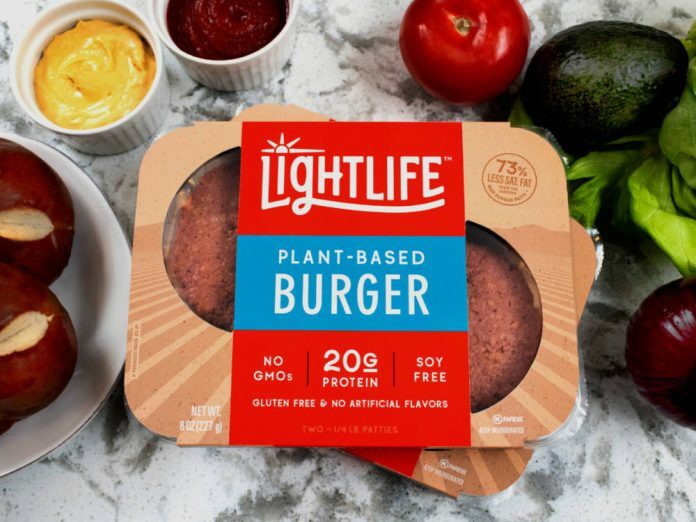 Maple Leaf Foods is meeting the growing global demand for plant-based protein by constructing a new $310 million food processing facility in Indiana. The 230,000 sq ft facility will double the company’s current production capacity and support a “rich pipeline of innovation” to meet increasing consumer demand and fuel market growth. It will produce tempeh, franks, sausages and raw foods – including the recently launched Lightlife Burger. The company will also invest approximately $26 million to keep pace with ongoing growth in demand at its existing facilities. “This investment will secure our ongoing leadership in this rapidly expanding market. By establishing a large-scale North American network, we will continue to meet rapidly growing demand for delicious protein alternatives and create a centre of excellence for innovation” said Michael H. McCain, President and CEO of Maple Foods. The new Shelbyville-based facility will be supported by approximately $50 million in government and utility grants and incentives, including $9.6 million toward capital and one-time start-up costs, and approximately $40 million in 10-year operational support. Construction is expected to start in late spring of 2019, with production start-up expected in the fourth quarter of 2020.